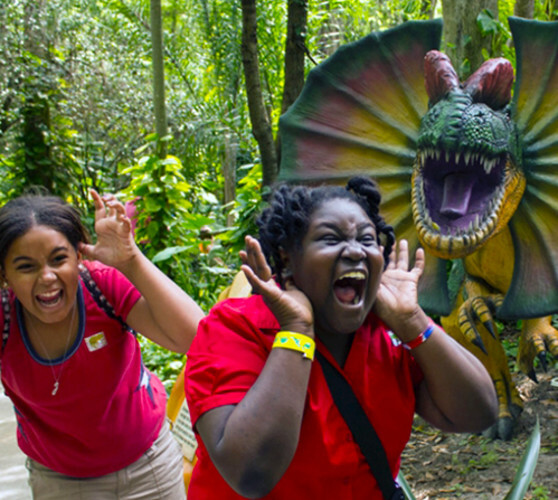 Go back in time - see over 200 life size dinosaurs at Dinosaur World! 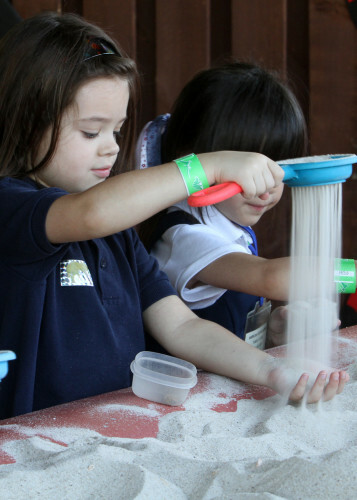 Dig for fossils and keep three at the Fossil Dig. 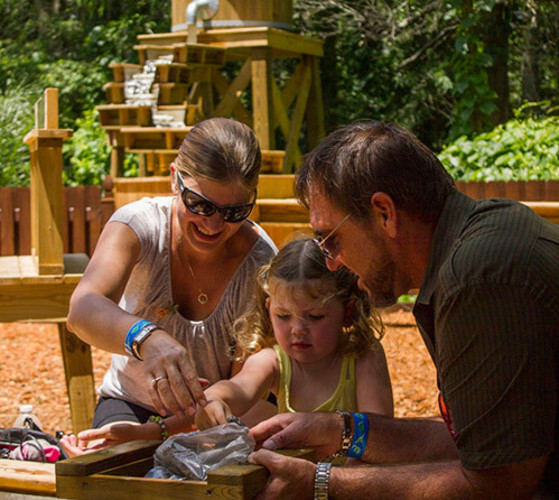 Pan for real minerals and gems at the Dino Gem Excavation and crack your own geode with the Geode Cracker. 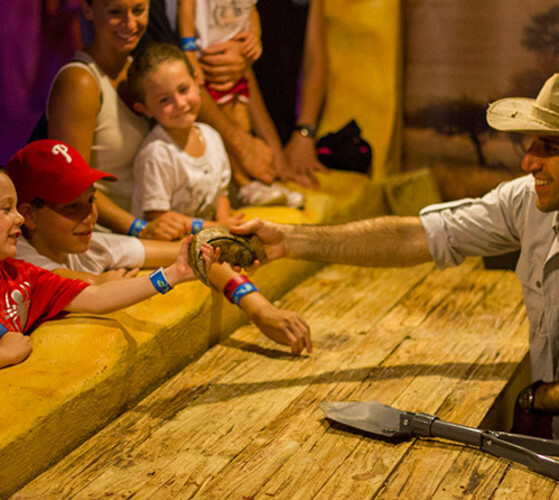 Learn what it's like to be a Paleontologist at the Exploration Cave Show and later test your knowledge at the Triviasaurus Rex Game Show. Put your paleontology fieldwork knowledge to the test at the Boneyard and uncover a life size stegosaurus skeleton from under the sand. 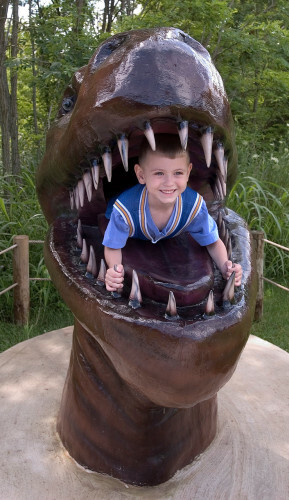 At the Touch-and-Tell guess the dinosaur inside a hole without sight. Visit Mammoths: Giants of the Ice Age and see woolly mammoths as they appeared during their time. Be sure to make a stop at the Florida Fossil Museum and learn about fossils native to the area, and stop at the Prehistoric Museum. 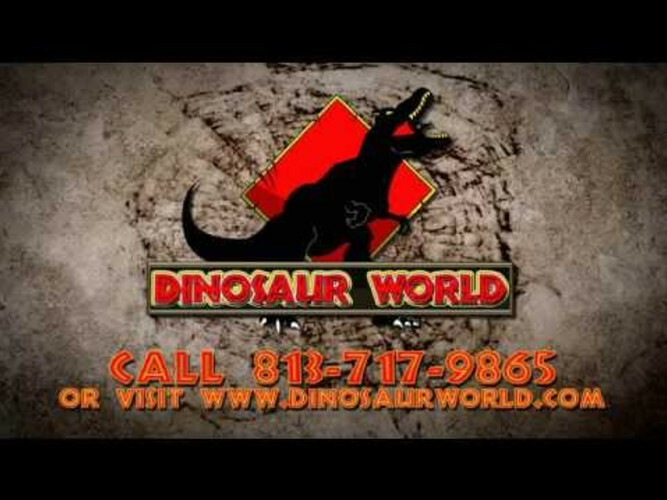 Here you will find real artifacts and an animatronic dinosaur display at the end of the museum. 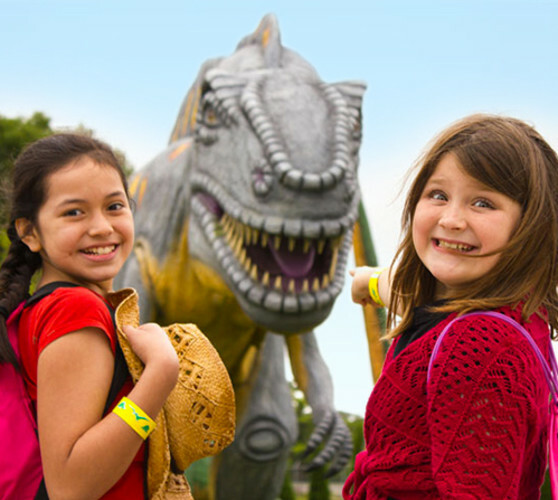 Play on the dinosaur themed playground - and don't forget your picnic lunch to Dine with the Dinos. 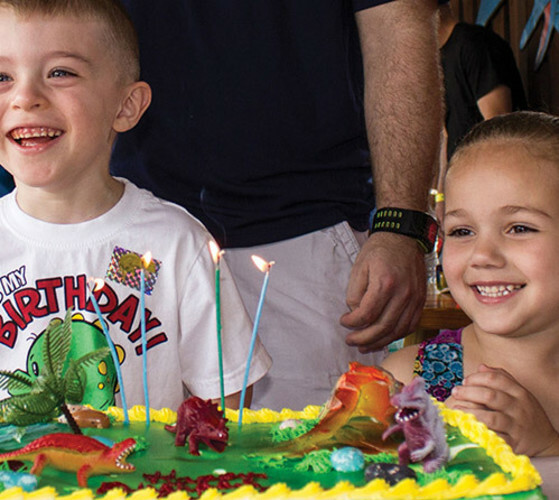 $8 group rates for 12 or more with advance reservation. Pets are free.